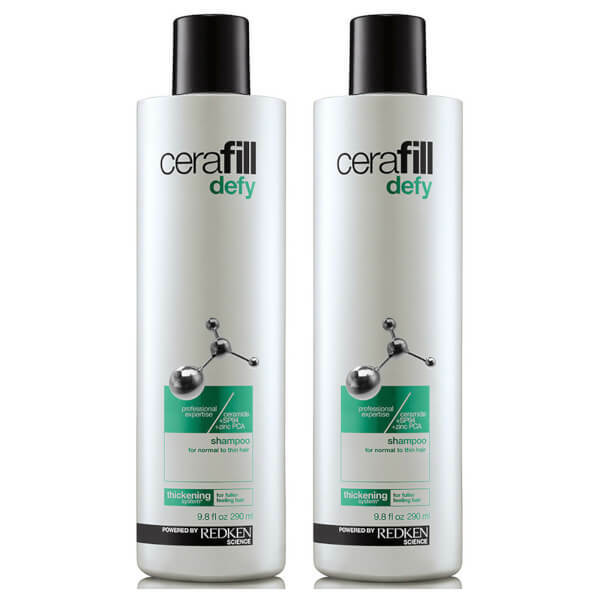 Gently cleanse and remove impurities from your hair with Redken Cerafill Defy Shampoo Duo. Featuring Cerafill System Technology, the treatment strengthens fibre to prevent breakage and energises hair follicles to re-densify hair. Working to improve the appearance of thinning hair, the shampoo nourishes to promote a healthy looking scalp environment.